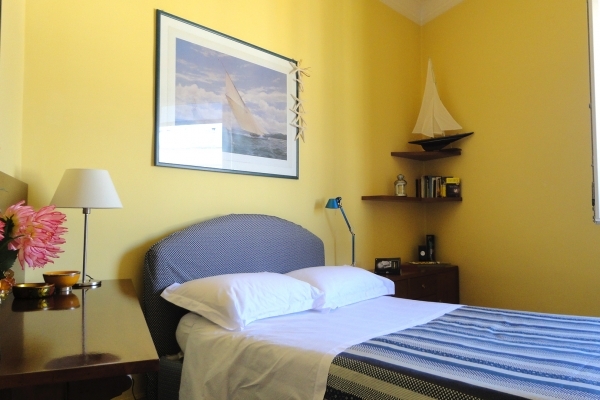 Comfortable apartment set in Parioli, walking distance from Villa Borghese and the Zoological Gardens, near transports that will allow you to reach the other parts of the city, near shops and restaurants. Building with a doorman and elevator . Top floor furnished 60 sqm , entrance hall with comfortable built-in wardrobes , large bright living room with sofa bed , tv, dvd , wi fi, overlooking the courtyard , very quiet . Kitchen furnished and equipped. Bathroom with shower. One double bedroom with fitted wardrobes. - In the kitchen : oil, vinegar , salt, pepper , tea , coffee and sugar . - Bus N ° 92: m400 walk to Via Po n ° 39 and get off after 7 stops. The station is located at m300 . Bus to the Metro " A"
- Bus N ° 83: exit the door , go left, then left again by Spontini to the intersection with Via Po Here you go right after the news stand and you will find the bus stop N ° 83 (6 stops for the Metro " A" Barberini ) . Distance from home to the bus stop m400 . - Bus N ° 80: up to via Viterbo , m800 and after 2 stops was at the Metro " A" Barberini . Tram to Metro " B"
Tram # 3 or # 19 . Exit the door , go right away to the intersection with Via Cimarosa and Liège go left. At the center of the road is the bus stop of Tram that will lead after 5 stops just m120 from Metro " B" Hospital. - Bus N ° 52: go to Via Mercadante , m260 . Here the bus # 52 8 door stops to Via del Tritone, m100 Via del Corso . - Bus N ° 53: exit door and go left. Getting to the first intersection with Via Spontini , turn left at the traffic lights and left again into Via Pacini . The stop is on the right side of the road. Distance from the bus m160 . Get off in Via Del Tritone after 9 stops in m100 from Via del Corso. A m100 from Viale del Museo Borghese electric bus through the park , into Via Veneto and goes up to the Spanish Steps in 20 minutes.